This secures landscape fabric, black plastic, netting, lawn ornament, floating garden covers, soaker hoses, etc. tightly to the ground. 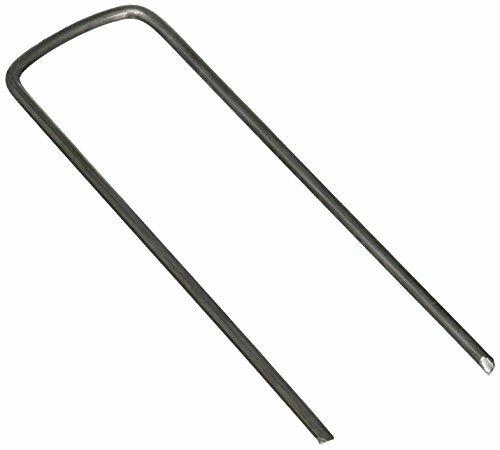 All gardener by Dalen garden staples are made with 90 percent recycled steel to help preserve our vital natural resources. Available in shelf display or on clip strips. Weatherproof package. Comes in pack of 20 staples.